Tickets go on sale at 2pm, Friday April 28, with live Early-birds from 10am, Friday April 27. Models by day and DJ duo by night, the Katayanagi Twins, comprised of twin sisters DJ China & Saiko, are here to make a statement. 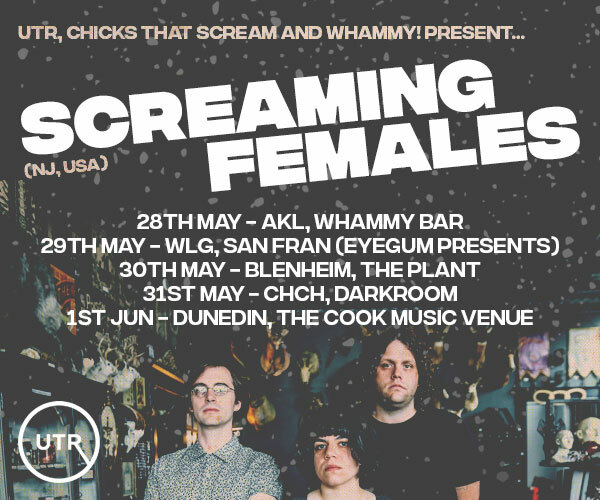 No strangers to Auckland’s nightlife, the twins have propelled to a familiar club night name at venues including Infinity, 1885, Roxy, and Impala, and are guaranteed to fire up any crowd with progressive and captivating sets. Although flawlessly performing as one, each individually provide a distinct and enigmatic energy to the creative scene. The pair recently threw down hard in the full-female line-up at JessB’s Block Party early April, and have only continued to dominate. Witness them bless the decks with a refreshing beverage to accompany you. 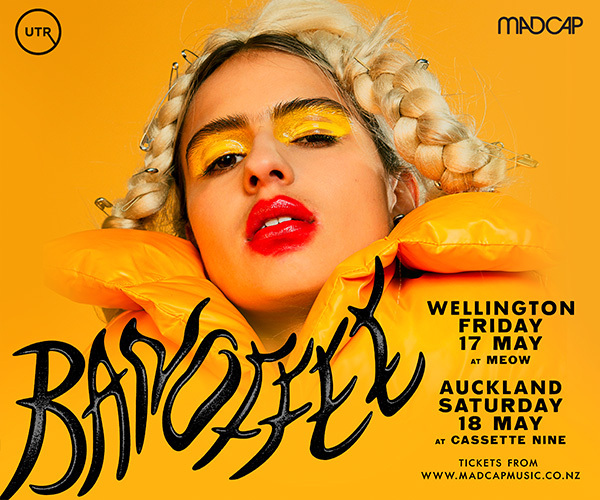 Recently supporting the Auckland leg of Eno x Dirty’s ‘Evil Adventures tour’, the infamously-promiscuous Baccyard NZ is consistently steaming through the scene. He’s produced for Melodownz’s ‘The Anthem’ and a variety of Omni Potent tracks, various placements on Soulection radio, as well as a heavy solo collection of tasteful flips on Soundcloud which seamlessly fuse hip-hop, RnB and future beats. His latest track, 'GAWDSPLAN', raked up over 70,000 streams via Chill Children. He’s making waves like no other - don’t miss the chance to ride one. 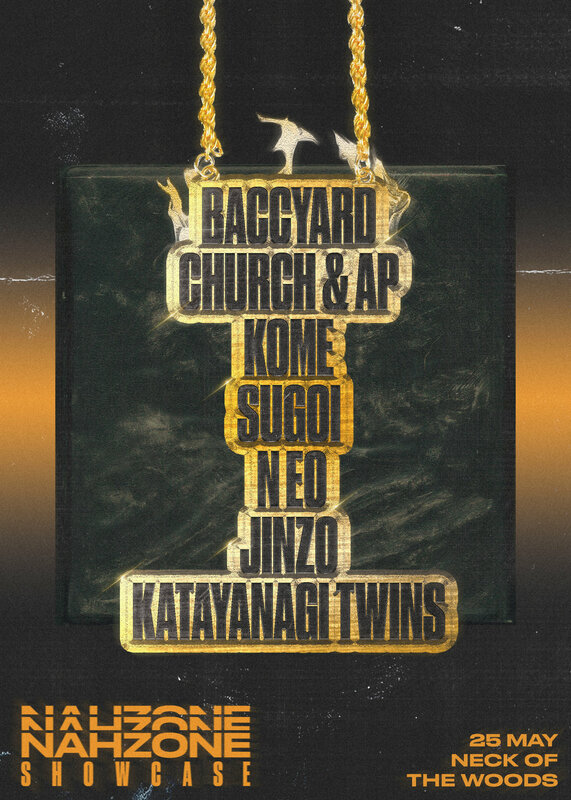 Underdogs Church Leon & AP have been developing their craft in recent years - the lively rap duo opening up shows all over Auckland and shutting down others, all whilst doing the hard yards in the booth. With the recent release of their single ‘Alladat’, as well as a new project on the way, the young talents bring a modern approach to the sound of New Zealand. And yes, the rumours are true - Church Leon wagged class to feature in the most David Dallas’ 64 Bars series. Come and catch the newest kids on the hip-hop roll call for yourself. After an extremely successful 2017, N eo is back again. Off the bat of performing at RnV last year with Jinzo, coupled with the success of joint E.P 'New Love', N eo is most definitely one of the high flyers in the underground rap scene. His most recent success 'Ghost Girl', gained attention from the likes of Sniffers and UGHH. 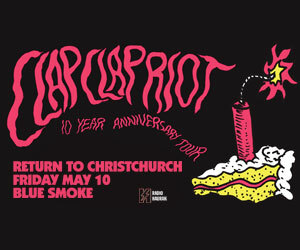 N eo’s rough tone, yet melodic flair makes him one of NZ’s most interesting artists. Producer/Rapper Jinzo is an expert in all things music; from funky beats and playful hooks, to grungy basslines and poetic verses. He shared a portion of his success last year with compatriot “N eo” while also gaining traction with his mixtape “7549” which dropped in mid-2017. His track “No Feelings” has gained almost 30k plays on SoundCloud, proving a promising start to the prestige Jinzo is to claim. Hailing from Christchurch, KOME's own Humbleboy and J$E bring a new flavour of rap to the table. Both artists seamlessly complement one another; playing off each other’s words and flows to create high energy bangers. “Whip” is a perfect example of this, with fellow KOME member Spyde on the beat, both artists ‘ying-yanging’ to create an unforgettable tune. The future is looking bright for these two young prodigies. Representing climate change, producer Sugoi is widely regarded as one of the best in the NZ scene - his music consistently conveying fresh creativity with unique percussive elements and a strong sense of melody. After recently winning the downtime sample challenge with his piece “matrix”, it would be fair to say that we will be hearing a lot more of the Sugoi sound in the future. Big thanks to our sponsor Good Buzz Kombucha.